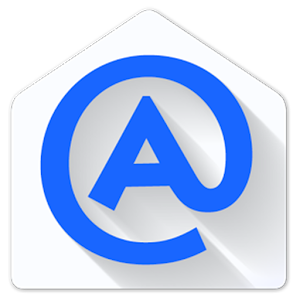 AquaMail is an email app for Internet and Exchange mail, for Android 4.0.3 and higher. Easy automatic setup for popular email services: Gmail, Yahoo, Hotmail, FastMail, Apple mail services (@me.com / @mac.com), GMX, AOL, and more. Recognizes mail accounts hosted at Google Apps, Yahoo BizMail, and others. ➢ Gmail, Yahoo, Hotmail, FastMail, Apple mail services (@me.com / @icloud.com), GMX, AOL, and more. Recognizes mail accounts hosted at Google Apps, Yahoo BizMail, and others. ➢ Works with many other email services via standard Internet email protocols (IMAP, POP3, SMTP). ➢ IMAP push mail (instant incoming email delivery) for those servers that support the IDLE extension (Gmail, GMX, AOL… not supported by Yahoo, for Hotmail please see the FAQ the app’s web site). ➢ Exchange (EWS) accounts provide access to server side contacts (personal and global, with search), and Calendar sync. Recognizes mail accounts hosted at Office 365 and Exchange Online. ➢ Plays well with other email apps that you may be using to access your IMAP or EWS mailbox. Uses existing folder structure, can synchronize drafts, sent, and deleted messages. ➢ Improved security (OAUTH2) for Gmail and Hotmail. Lots of settings to configure the application just the way you would like. Separate settings for WiFi and mobile connections. You can add more than two accounts, use identities, and remove the promo signature by purchasing the Pro Unlocker app here on Play. CONTACT US: If you have any questions, feedback or suggestions please contact us directly at support@aqua-mail.com. Improved Text Editor - Add lists, bullets and paragraph alignments to your emails! Android 5+ required. Priority Notifications (from chosen senders). Office 365: OAUTH2 support (including two-factor authentication). Yandex: Adding an account is now easier if already logged in in a web browser or a Yandex app. Message auto-fit can be reverted from Menu>View. Languages: RU (default), UK, EN.